Makeup's Best Friend by Beautyblender for Holiday 2015 | Top Beauty Blog in the Philippines covering Makeup Reviews, Swatches, Skincare and More! Makeup’s Best Friend features a wardrobe of essentials to support your makeup collection and ensure flawless application every time. 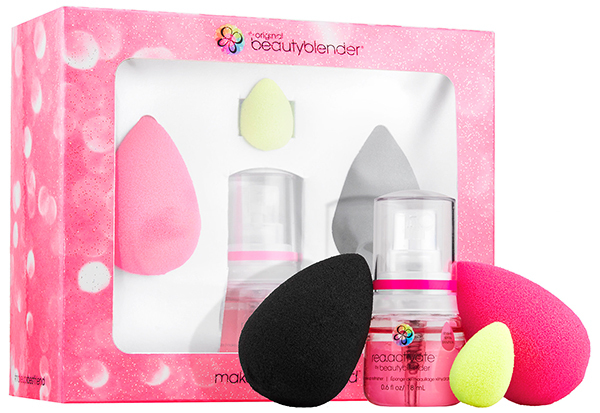 Use the beautyblender original for foundations, BB creams, powders, mineral makeup, cream blush, and more. Then use the beautyblender pro for products for darker-toned complexions, such as long-wear makeup, self-tanners, and bronzers, and use the beautyblender micro.mini for concealing, contouring, and highlighting product. Then finish with the rea.activate™ rehydrator and makeup-refinishing spray to “re-swell” beautyblender, and create a dewy makeup look while on the go. I've never tried these, but they look lovely!